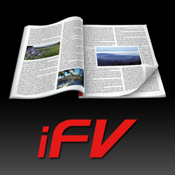 Welcome to FlipViewer Xpress (i-Edition), your enjoyable FlipBook reading experience for the iPad. Besides viewing your FlipBook on computers, you can now view your favorite FlipBook on the go with FlipViewer Xpress (i-Edition) on your iPad. Open a FlipBook thru a link which opens the FlipBook on your iPad.